A local antiquities official told Ahram Online that news reports about "a million mummies" discovered by an American archaeological mission working close to Fayoum were false. Ahmed Abdel-Aal, the head of the Fayoum antiquities authority, told Ahram Online that the million figure is an estimate, presented in research presented to an academic colloquium in Toronto last month by mission head Kerry Muhlestein, and not a concrete number. Abdel-Aal said that the mission had been based in the Fag Al-Gamous area for 34 years, and during that time had stumbled upon torn textiles, and late period and Roman remains of human skeletons. “No mummies were found except one discovered in 1988 inside a wooden anthropoid coffin with a gilded mummy mask," he said. 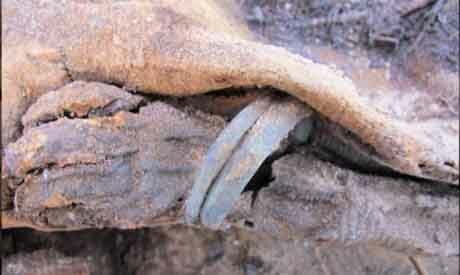 Archaeologist Affifi Rohayem told Ahram Online that this kind of burial was common during the Roman period. “I think the burials found in Fag Al-Gamous is one of those necropoli, but the mission does not know much about it,” he added. The Egyptian antiquities ministry said earlier on Friday that it had decided to halt cooperation with the Brigham Young University mission because it had "published false news" and had broken the law by speaking directly to the press about a discovery without first getting ministry clearance. Could it be more than a million? Could it be a couple of millions of mummies?